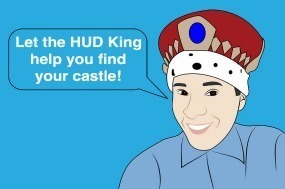 This page is dedicated to helpful and useful links and the occasional video to help you search for HUD Homes, Government Foreclosures, and other seized property. Whether you’re looking for a home to live in or use as investment property, I cannot stress enough how important it is to have your financing in place before you make an offer. It let’s the sellers know you’re serious and a pre-approval letter or proof of funds (on cash offers) are often required before you offers can be submitted. Most agents won’t even show listing if you’re not approved too, so it’s a good sign that you’re a serious buyer if you get that done before going out to look at homes. I’ll do my best to add important videos that will be of value to you. Be cafeful though, these seized asset pages have the ability to make you waste a lot of time looking for discount jewelry, homes, cars, boats, and all other sorts of seized items. If there is a video that you’d like me to make about a specific foreclosure subject or HUD Home please contact me and I will do my best to get it done. Texas foreclosures and HUD Homes can be some of the best buys in the nation, but like all homes, sometimes they are priced below, at or above market value, so make sure that you do your research before submitting an offer.